The mayor of Veldhoven has banned a controversial meeting of Eritrean nationalists, saying it could be a threat to public order. Police arrested ‘several dozen’ people who were protesting about the meeting on Thursday night. Following consultations with police, mayor Jack Mikkers decided to cancel the meeting altogether, news agency ANP said. 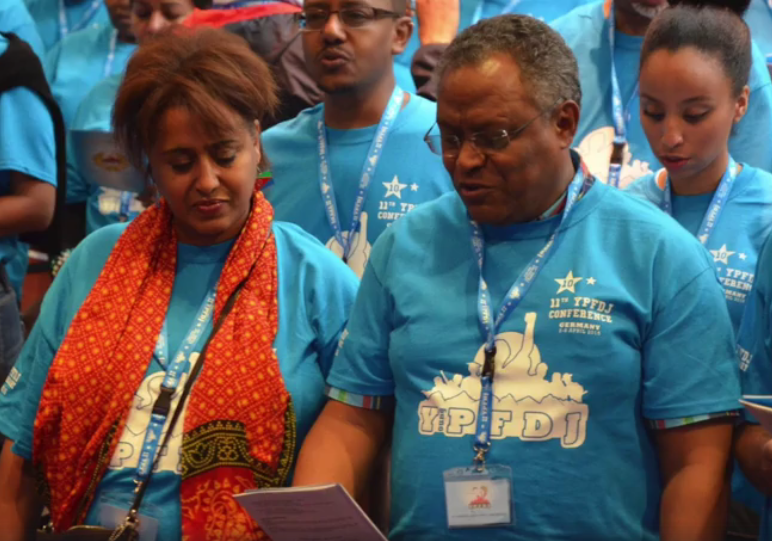 The People’s Front for Democracy and Justice, the only political party permitted in Eritrea, had planned to hold its annual youth European conference in the Netherlands this weekend. Some 650 supporters of the dictatorship were expected to attend the meeting and there are indications that the right-hand man of president Isaias Afewerki would also be there. Many Eritrean refugees in the Netherlands regard the conference as an act of provocation, Tilburg University professor Mirjam van Reisen told NOS earlier this week. ‘The government wants to show the Eritrean community that it still rules in the Netherlands,’ she said. Dutch government ministers said earlier this week they were unhappy about the meeting being held on Dutch soil but that there were no grounds to ban it in advance. The protest was organised by Kubrom Dafla Hosabay, a former Eritrean government minister who fled to the Netherlands in 2010.